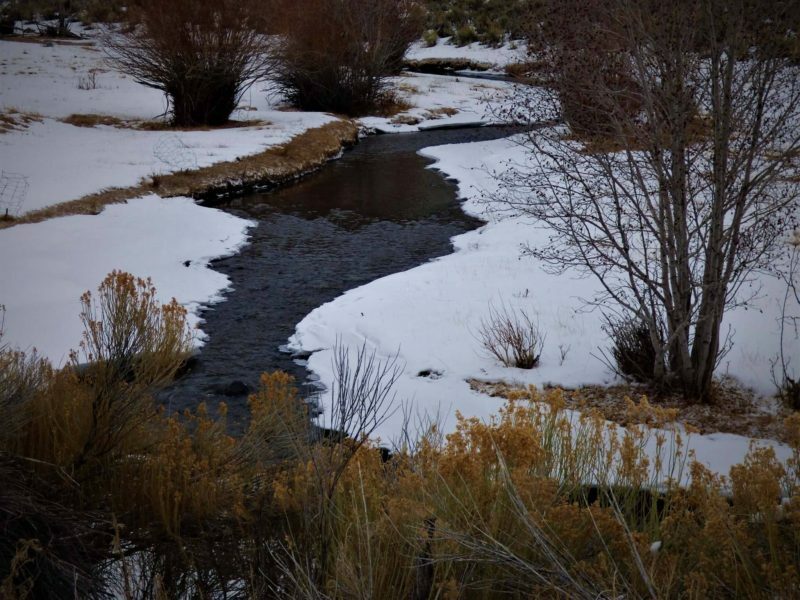 The Quiet Fly Fisher :: Southern Utah Fly Fishing Guide Service and Fly Shop | Southern Utah Ice and Fly fishing Report. Southern Utah Ice and Fly fishing Report. Made it back out to check on Ice conditions today, it’s been a strange year so far, our snow packs are normal the reservoirs and fish lake are just slow to freeze solid this year. The plus side is that the ice that is there is thick enough to get out and enjoy a day of fishing on. Millmeadow Reservoir. The reservoir is mostly covered, there is still some open water though. 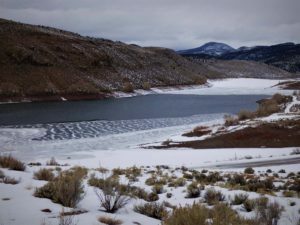 The ice near the dam is likely unstable while from the boat ramp towards the Fremont river inlet has nearly 14 inches of ice! No reports of perch being caught here yet, the splake and tiger trout have been thin, the rainbows and Browns have been in much better condition. If fly fishing, we have been targeting the times of day when the wind is calm, watch for mid going fish in the open section of the reservoir and focus your casting to those areas, the take can be light so be prepared! Forsyth Reservoir is completely capped with 8 to 12 inches of ice! Fishing has been hit or miss here for most this year with some reports of great numbers and quality to some wondering if there are even any fish in there. the method we have found that works best is to try a spot for 30 to 40 minutes and if nothing happens move! The sections near the dam and by the springs have both fished well for us. The warmer weather has kept the upper Fremont open, the fish have been actively feeding on the midge hatches, today’s hatch w started around 10:30 am. has good Ice And excellent fishing for perch on the south and north ends, there was open water from about twin creeks to joe bush, use caution on any of that new ice! The areas in the narrows and out from doctor creek is about 8 inches.